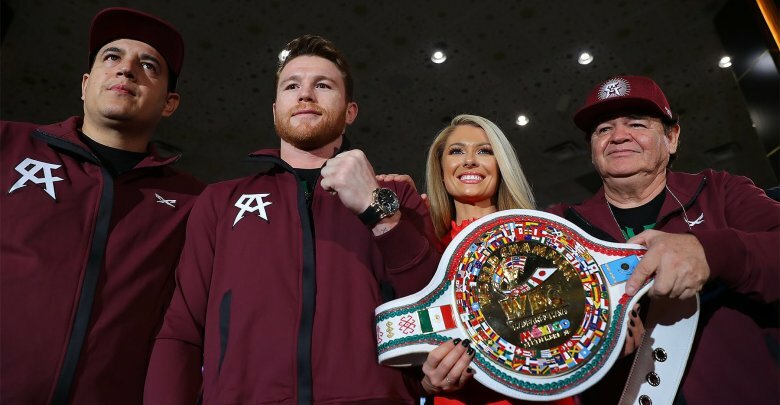 Newly minted WBC and WBA middleweight champion Saul ‘Canelo’ Alvarez 50-1-2 (34) says he expects to return to the ring in December after delivering his bitter rival Gennady ‘GGG’ Golovkin 38-1-1 (34) his first loss at the T-Mobile Arena in Las Vegas, Nevada on Saturday night. Speaking to the media at the post-fight press conference, Alvarez discussed his victory over Golovkin and his future fight plans. The 28-year-old Mexican outpointed long-time middleweight champion Golovkin by majority decision with scores of 115-113, 115-113 and 114-114. “Thank you all and everyone that believed in me,” Alvarez said. “I am happy with the victory. It wasn’t easy. Unfortunately, we didn’t get the knockout. We worked hard to get the win. I want to thank my trainer Eddie and Chepo Reynoso who took me in as a kid and showed me everything I do. “My plan was to score the knockout. I had a tough opponent but we got the victory. I am satisfied with the work we did today. I’m happy that’s what got us the win. This is a very important victory for me and my country. The fight was a rematch of their contentious draw last September that split opinion among fight fans. The original May 5 date for the rematch was scrapped after Alvarez twice submitted positive drug tests for the banned substance clenbuterol in February, precipitating his six-month ban from the sport. Coach Eddie Reynoso revealed their game plan was to back Golovkin up. “We studied the last fight and we changed and worked on strategy to have Golovkin fight off his back foot,” said Reynoso. Oscar De La Hoya of Golden Boy Promotions was rapt with the result and the game plan Alvarez brought to the fight. “Canelo didn’t run like everyone said. He boxed and held his own this time,” said De La Hoya. One possible opponent for a December fight is former titleholder David Lemieux 40-4 (34) who was impressive in stopping Gary ‘Spike’ O’Sullivan 28-3 (20) in the opening round on the undercard to the main event.